Kuala Lumpur, May 2017 - Last week, talented Malaysian Mandopop singer SHIO 郭修彧 just held a press conference for her latest album 《抽象圖》at Red Box, Pavilion. She’s one of the upcoming star who has gained a lot of media attention. 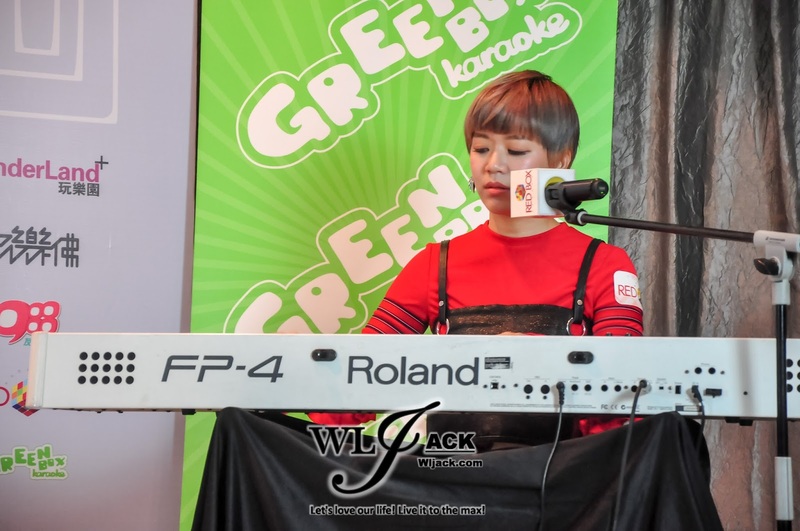 Apart from being nominated as Best Newcomer Singer in “ 第 28 届金曲奖”, she is also the mentee for Malaysian renowned singer Penny Tai. 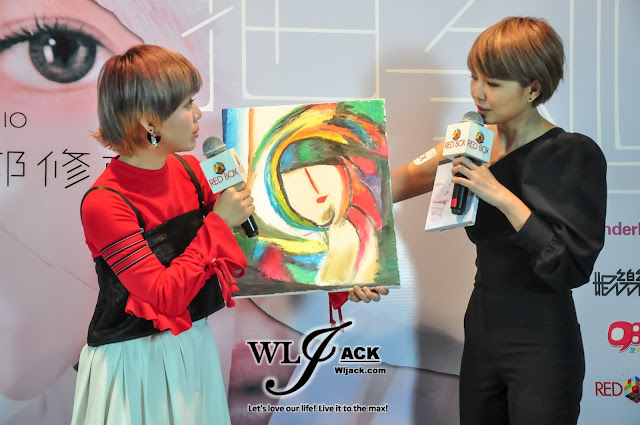 Our team from wljack.com has been given an opportunity to do a coverage on the press conference. 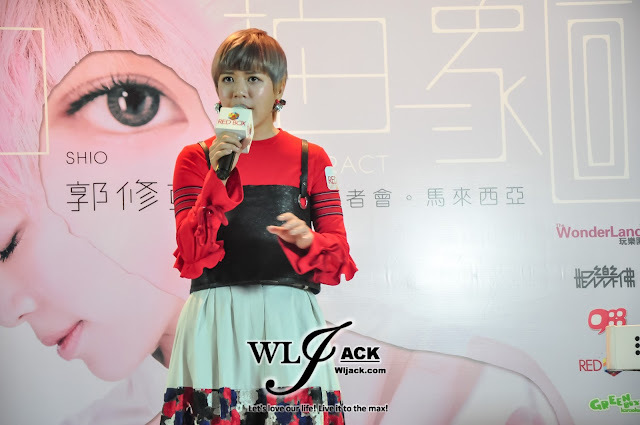 During the press conference, SHIO has mesmerized the media members with the singing performances of《抽象圖》and 《Yesterday》. The press conference was hosted by Orange 陈慧恬 and they have sparkled up a lot of funny moments during the interview sessions. During the press conference, they surprised SHIO by contacting Penny Tai who is currently in Taiwan. SHIO expressed her interest to join the Marathon run, but Penny jokingly said that she shouldn’t join the run. Penny said that she was afraid of SHIO fainting during the run or will take forever to finish the run as she knows SHIO likes to help people. She said that SHIO might spend her time busy helping others during the run instead of finishing it. Penny also revealed to the media members that SHIO can be more stubborn than her in term of pursuing her work. So Penny usually likes to advise her to “Pusing Balik” and try to take a step back if faced with obstacles. In addition, Penny also mentioned that SHIO can sometimes tell lame jokes which is even worse than hers. For Penny, she treats SHIO as part of her family. SHIO also has the habit to say “Sorry” to her colleagues. 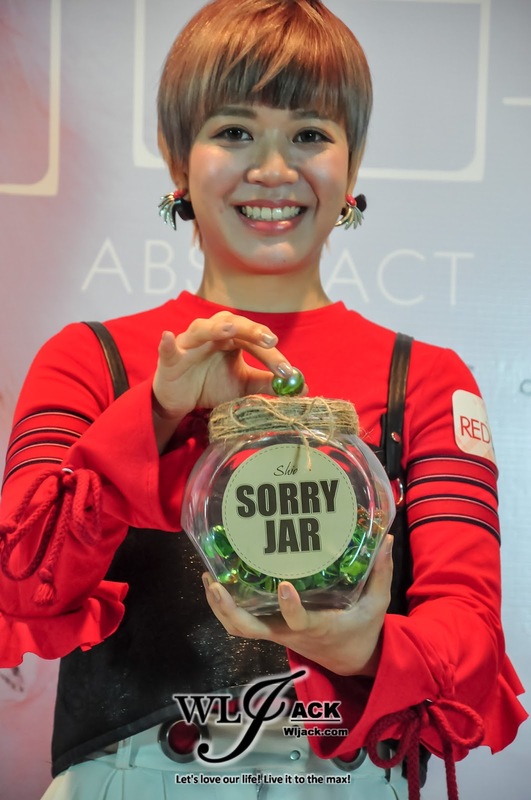 So they have prepared a “Sorry Jar” for her whereby she has to make a donation each time she accidentally said “sorry”. The donation will be directed to the Autism Society. When asked regarding her personal life, she mentioned that she spent most of her time working with her crews. Occasionally, she likes to draw or compose new songs. Regarding what are criteria to be her boyfriend, she said that being kind and friendly would be the most important trait. That’s all from us for the coverage of the press conference. Stay tuned to www.wljack.com for more coverage on Malaysia events and entertainments news! Coverage by co-editor Sing Ean.